At least I hope you're having a happy spring. When you work at a huge historic site, as I do, spring can be a killer. I've been curator of collections at Old World Wisconsin, an outdoor ethnic museum, for about a year now. 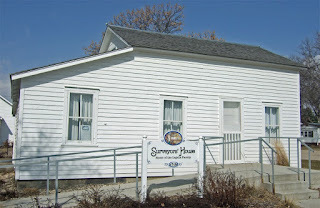 Old World is a living history museum, where interpreters go about the daily activities Wisconsin's early immigrants pursued. The museum includes ten working farms and a crossroads village, all nestled on 576 acres within a state forest. It's a beautiful place, and the stories we tell there have relevance for everyone with an immigrant on their family tree. For the most part, I love my job. 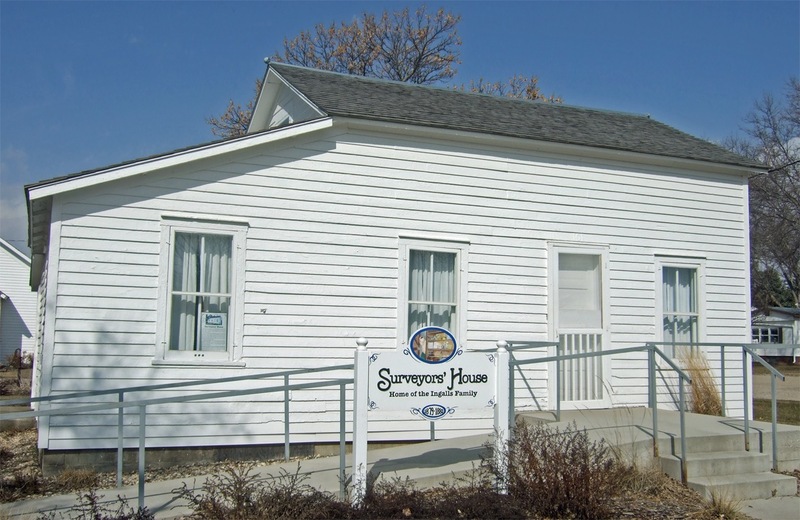 All of the historic structures were moved to the site, and restored to periods from 1845 - 1915. As curator of collections, I'm responsible for thousands of artifacts---some that furnish the buildings, and some in storage. Old World Wisconsin is closed during the winter, so getting all of the buildings open and ready for visitors is a huge job. I help train the interpreters and plan educational programs, too. And I do it all while trying to minimize contact with my boss, site director Ralph Petty. Let's just say we don't get along. I do get away from my own site from time to time. Most recently my sister Kari and I took a road trip to visit every homesite dedicated to Laura Ingalls Wilder. I was speaking at a symposium about the famous author, and trying to authenticate a quilt believed to have been owned by Laura herself. A murderer was traveling the same route, and Kari had big problems I didn't know about, so the trip was a bit more stressful than I'd hoped. But things turned out OK in the end. I grew up in the oh-so-Norwegian town of Stoughton, WI. Both of my parents are of pure Norwegian-American stock, and Mom in particular makes a huge deal of it. 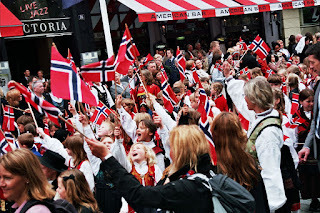 So I would be remiss if I didn't point out that today is Syttende Mai---Norwegian Constitution Day. I'm taking my guy, cop Roelke McKenna, to a celebration at my folk's place. Roelke's a good sport about such things. If you're ever in the area, stop by Old World Wisconsin for a visit! I guarantee you'll love it. And if you can't get there in person...well, you can always read about some of my adventures. Kathleen Ernst is the author of over thirty books, including the Chloe Ellefson Mysteries, mysteries for young readers, historical fiction, and two nonfiction books. Before becoming a full time writer she worked as a curator at Old World Wisconsin. Kathleen is celebrating her first post at Killer Characters with a GIVEAWAY! Leave a comment here and you will be entered to win a Chloe Ellefson mystery---winner's choice of title. The drawing will take place on Thursday, May 19th. Be sure to leave your email, or check back then. Welcome to Killer Characters! And thanks for the chance! What fun! I always enjoy being introduced to a new artist! Fascinating post - and a new-to-me author! Thanks for the giveaway. Interesting post. It must be fun working in a museum. Sandy, it was great fun to work at such a special place. I started the mystery series because I missed it so much! Interesting post. I once worked in museums. Hi, Debby. Where did you work? Thanks for the chance to win a Chloe Ellefson mystery! Welcome! It's such a treat to spend time with so many artifacts--it makes history come alive. Thanks, Sheila! I keep thinking there should be a museum-themed panel at Malice Domestic some time. Wouldn't that be fun? Welcome to Killer Characters! I love those Chloe mysteries. Kristina, it was great fun to write a Laura Ingalls Wilder-themed book. She remains a favorite! Thanks, Libby. Didn't we meet at OWW? Your books are terrific! I need to read the first few to get caught up. Karen, I'm so glad you've enjoyed some of them! I am going to enjoy reading your posts! Thanks, Connie! I'm glad to be here. for the opportunity to win one of your books. MaryAnn, I'm delighted to be here! Thanks so much. My dream job was to work at Old World, but the commute was too long. Stephanie, you would have been great! But I'm glad you channeled some of your love of history into your writing. Welcome to Killer Characters, Kathleen and Chloe! Thanks, Merry Lu! We're delighted to join the group. Welcome, Kathleen. Nice getting to know Chloe. This is a new series to me, would love to read more about Chloe. Thanks for the warm welcome, Dianne! I'm so glad you're enjoying the series! We love having you come to Vesterheim! Your books have been so popular and I look forward to the next book in your series. You're kind! Vesterheim is one of my favorite places in the world, so it's always a pleasure to head toward Decorah. Best series ever! Love these books! Thanks so much! So glad you're enjoying them. Good to see you here! Lately I'm loving Viroqua. I lived not too far from Old World for about 5 years and never visited. It must be very interesting! Elaine, it's a great place. Hope you can visit sometime! Great post! I love this idea. Very generous to do a giveaway, too! My pleasure! And thanks for the warm welcome. Old World Wisconsin is truly a fascinating place to visit. My next Chloe-related location that I want to go to is Vesterheim. Judy, I'm pretty sure you'll enjoy it. The museum collection is fabulous. You don't have to be Norwegian to love it! I'm originally from the Midwest. This sounds like a fascinating book series. I love writing about the Midwest. I wasn't born here, but I've lived here for 35 years and consider it home. So many wonderful places and stories to explore! I love reading about Chloe's adventures and the history. Looking forward to Death on the Prairie! HI Ann! And what is Inez up to lately? Dianne, I'm so glad you enjoyed Death on the Prairie. I loved Laura's books as a child, and the writing holds up well for adult readers too. A very special series. 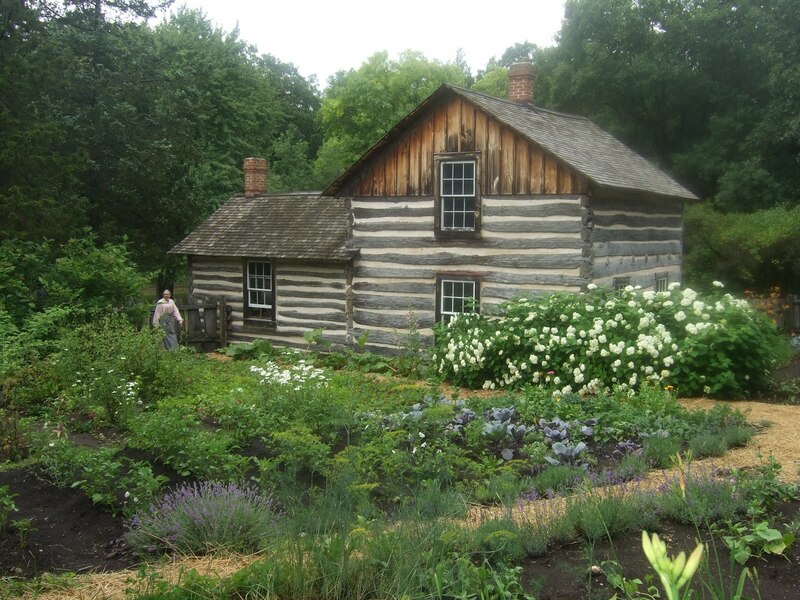 I'm inspired to visit Old World Wisconsin again...it's been 24 years since we were there. I enjoy experiencing the sites vicariously through your books. I'm glad my books provide some armchair travel! I left after the 1994 season...perhaps we chatted at some point during one of your visits. Lovely photo of the Pedersen farm! Elizabeth, it's always been one of my favorites. Glad to be here and I have always loved anything about Laura Ingalls Wilder, I have visit Walnut Grove and took my granddaughter so she could experience it also Thanks for the Magnificent Books you write and a chance to win. How special to share Walnut Grove with your granddaughter! And thanks for the kind comments. Glad to see you here, Kathleen. My husband thinks Wisconsin is the Holy Land, so it is very possible that we could visit Old Wisconsin. Sounds fascinating. I grew up just a few miles from Little Town on the Prairie, so I am looking forward to reading your newest book. I have had several wonderful visits to your neck of the woods, too! 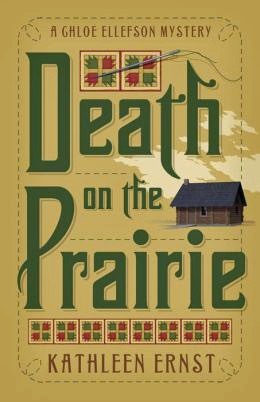 I've read all the Chloe mysteries and I'm waiting for my friend to return my copy of Death on the Prairie to read it. She's a huge history buff, and a Laura Ingall's Wilder fan so I had to let her read it first. Glad to call you a friend and fellow author, Kathleen. Thanks, Sue! Hope your writing is steaming along. I love mysteries! This series sounds so inviting! Thanks, Lisa! Hope you enjoy. I hope reading the book will bring back some happy memories. Thank you for the chance to win a book! I really enjoy your blog. Gayle, I'm so glad you enjoy the blog! I love having a chance to share all the stories behind the stories. I've visited Old World Wisconsin and love this series. Last night I told those coming to hear me at the Lake Oswego Library in Oregon about Chole and the series. They've promised to order it in! Jane, you are as generous as you are talented! Welcome to the Midwest! Lots of wonderful places and stories to explore. So glad you're enjoying the series! I love your Chloe mysteries, have read them all. Can't wait for the next one to come out !!! Also love comments from you and your husband. I live in Stoughton and am hoping to get one of your meet-ups at a book store or library. I have asked the library here to invite you to visit our library, hope it happens !!! Drumroll, please... And congratulations to Traveler! Your name came out of the hat as winner of the Chloe Ellefson mystery giveaway. I will contact you privately. Everyone else - thanks for the warm welcome, and for playing along! See you next month.